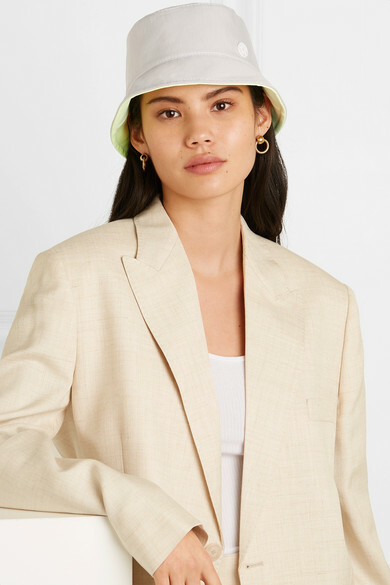 Perhaps one of the most unexpected (but entirely welcome) comebacks from the '90s we've seen this season is the bucket hat - everyone from Rihanna to Bella Hadid has been spotted in one. 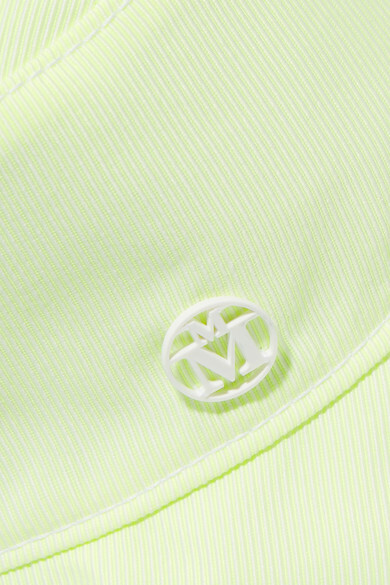 Made from soft cotton, Maison Michel's playful version can be reversed from neon-green to off-white, so you can switch it up depending on your outfit. Wear yours with loose, tousled waves. 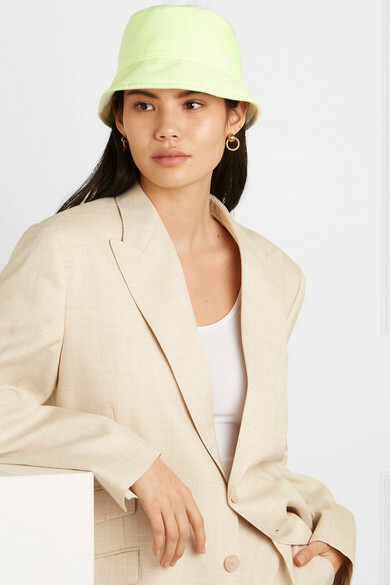 Shown here with: Chloé Tank, Stella McCartney Blazer, Stella McCartney Pants, Laura Lombardi Earrings.